Cast one eye over Tom Cruise’s decorated filmography and you’ll find that, beyond the Mission: Impossible series and Jack Reacher: Never Go Back, the actor seldom dips his toe into sequel territory. That’s quite the feat, but it seems after M:I and now Reacher, Cruise could bend his cardinal rule once again for another follow-up: Top Gun 2. Though it threatened to unravel soon after the tragic passing of director Tony Scott, the project is still alive and kicking, with Cruise and Co. seemingly out to engineer a sequel that will tackle some hefty themes including the rise of drone warfare and the subsequent death of the fighter pilot era. 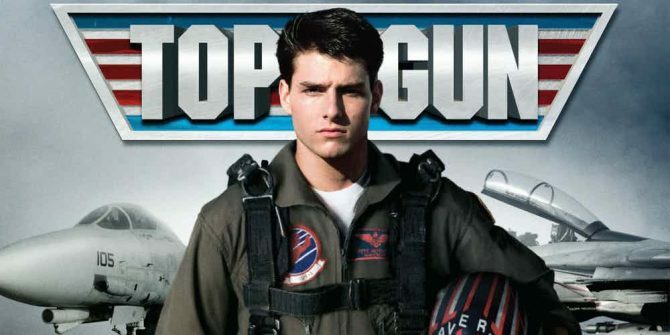 That’s certainly a radical departure from the cheesy romp that first took flight roughly 30 years ago, and while he stopped short of offering up anything about the plot, Tom Cruise told Sunrise 7 this week that despite a prolonged period of radio silence, Top Gun 2 is 100% happening, and could shoot within the next year. Though not a groundbreaking update by any means, this is the first real confirmation that the sequel is indeed moving forward, and much sooner than we thought, too. Of course, the actor wouldn’t give Sunrise7 anything more than a confirmation that Top Gun 2 is real, essentially, but it’s enough to get us, and no doubt the fans, excited. Plus, if it really is set to start filming as soon as Cruise says, we imagine Paramount will start putting everything together pretty quickly. That means you can expect to hear news on a director, cast and all that jazz over the next few months. In the past, we’d heard that Val Kilmer would be back to reprise his role and that Justin Marks was the one penning the script, but who knows if either of those things are still true, as it’s been a while since we’ve had any updates. Regardless, this is very exciting news and we’ll be sure to bring you more on Top Gun 2 as it surfaces.